Quick find the helmet – the world’s coolest balance bike is now available in Australia! 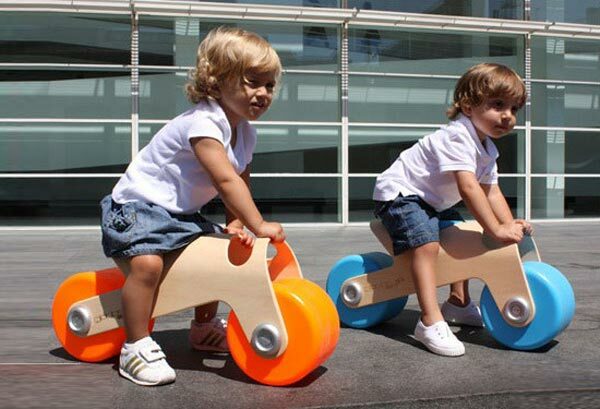 We first made mention of the BIT balance bike back in 2009 and now it can easily be yours thanks to Bonito Baby. Heads will turn in the cul-de-sac and you will definitely be the envy of the playground set with this completely cool set of wheels designed by Glodos. The BIT bike is undeniably easy on the eye and its shape is unlike any other balance bike I’ve seen – and I’ve seen a lot! A low laminated wood build makes it particularly sleek while wide bright wheels and seat give a gorgeous pop of colour that completes the modern look. It’s very likely your little one can choose a favourite from the four awesome colours available – blue, pink, green and orange. The BIT balance bike makes for a perfect first bike and is designed to fit children aged from eighteen months to three years. 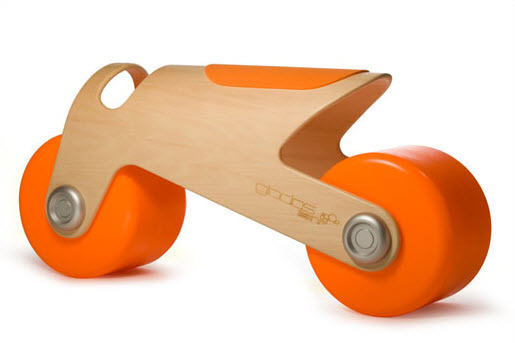 The BIT balance bike is priced at $154.95 from Bonito Baby who will deliver this uber cool ride all around Australia.